Analysts said Alibaba regained its title of the world's biggest e-commerce company after over two years thanks to its incredible performance this year. 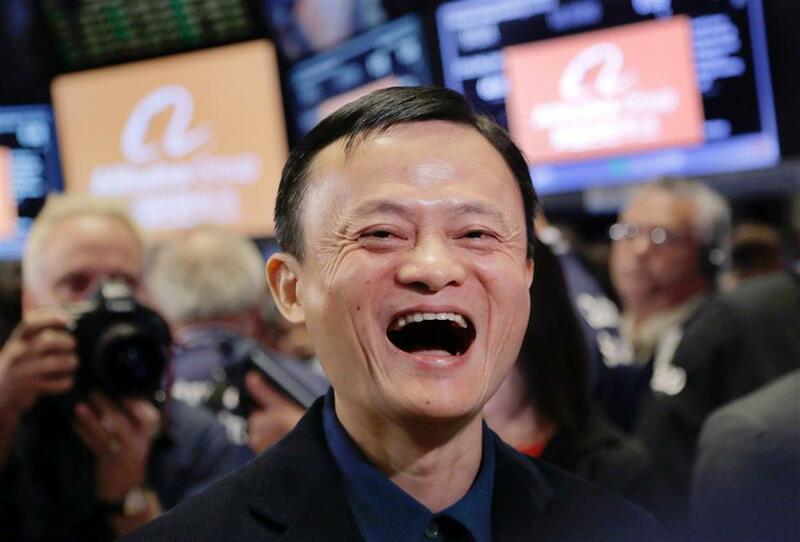 Jack Ma, founder of Alibaba, smiles during the company's IPO at the New York Stock Exchange, Friday, September. 19, 2014 in New York in this file photo. Chinese e-commerce giant Alibaba surpassed its US counterpart Amazon as the world's biggest e-commerce company Tuesday as the Hangzhou-based company reached the threshold of 470 billion U.S. dollars in market value. Shares of Alibaba rose over 1.2 percent in mid-session on Tuesday to 184.32 dollars, hitting a market capitalization of 472.1 billion dollars. Meanwhile, stock of US online retailer Amazon declined 0.87 percent to 982.35 dollars a share, making the company's market value total 471.9 billion dollars. As one of the top performers in the New York Stock Exchange, Alibaba has gained over 100 percent since January, while Amazon rose nearly 30 percent. The Chinese company's stock soared 12 percent in the past two months after it announced better-than-expected quarterly earnings in August. Alibaba's net profit jumped 96 percent to more than 2.1 billion dollars year-on-year in the first fiscal quarter ending June, beating market expectations. Moreover, the number of active buyers on Alibaba's retail platform climbed to 466 million, accounting for about one third of the Chinese population. Investment banks J.P. Morgan and Morgan Stanley raised their long-term price targets for Alibaba from 190,170 dollars to 205,200 dollars respectively after the release of its quarterly report.